Interesting facts and background on some of the world’s busiest airports. Airports can be busy and exciting places, with millions of people using them to fly to destinations all over the world. Whether it's for business or pleasure, nothing quite matches the sight of a fleet of planes ready to transport you to a faraway place. Here, we countdown the top seven busiest airports by passenger traffic with some facts and background on each of them. Opened in 1928 and covering 3,650 acres, LAX serves the city of Los Angeles, California as its main hub for flights. It boasts four runways and nine terminals, including The Tom Bradley International Terminal which was opened for the 1984 LA Olympics and named for long-running LA Mayor Tom Bradley. Los Angeles International Airport has its own song, originally written by Leann Scott and first recorded by David Frizzel – it was called 'LA International Airport'. The airport's Terminal 1 alone is as big as nearby Long Beach Airport. On July 4th, pilots make steeper take-offs and landings to avoid the Independence Day fireworks. The UK and Europe’s biggest airport, London's Heathrow opened in 1946 and covers 1,227 acres, South West of the British capital. It currently has two runways and five passenger terminals. The fifth terminal was opened in 2008 by Her Majesty The Queen. Heathrow International Airport employs 76,000 people, more than the population of Guildford, Surrey. It has a 6th terminal known as the Royal Suite, used for royalty, visiting heads of state and certain celebrities. One bottle of Chanel N° 5 is sold at World Duty Free at Heathrow every nine minutes. One of the two major airports serving Tokyo (the other being Narita International Airport) – it was opened in 1931 and remained the key international airport until 1978. There are plans to expand the airport in time for the 2020 Olympics which will be hosted in Tokyo. Tokyo International Airport Haneda was taken over by US Army in 1945 and turned into Haneda Army Airbase, before being returned to Tokyo in 1958. Before Haneda, incoming planes would land on the beach at Tokyo Bay. 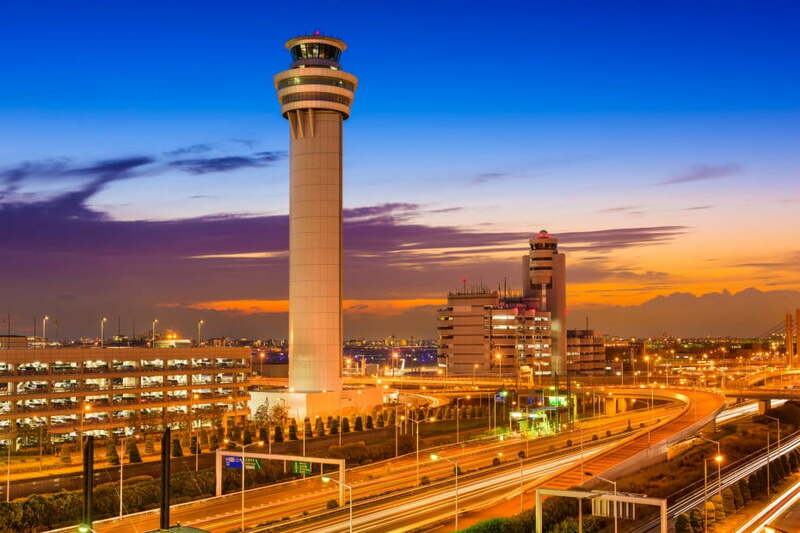 When the Narita Airport was opened in 1978, it took most of Haneda’s international traffic away, leaving Haneda with mostly domestic flights until a new runway was developed in 2010. A major hub for both United and American Airlines, O'Hare International directly serves over 200 destinations worldwide, including 150 in the United States. A six-billion-dollar investment was confirmed in 2005 to expand the airport’s capacity by 60%, this modernisation effort has gradually been rolled out over the past decade. Chicago O'Hare International Airport began as a regional manufacturing site for Douglas Aircraft Company. It was named after famous US naval aviator Commander Edward Henry 'Butch' O'Hare. There used to be 9 runways, until Runway 14L/32R closed permanently on August 20th 2015. It was one of the three original runways at the airport, built in 1943. Dubai has seen massive growth in passenger numbers since the start of the century – in 2002 it saw just under 16 million passenger movements compared with 78 million in 2015. It is the busiest airport in the world with only two runways and the busiest for international passenger traffic. It is home to various carriers and a crucial transport hub for the Middle East. 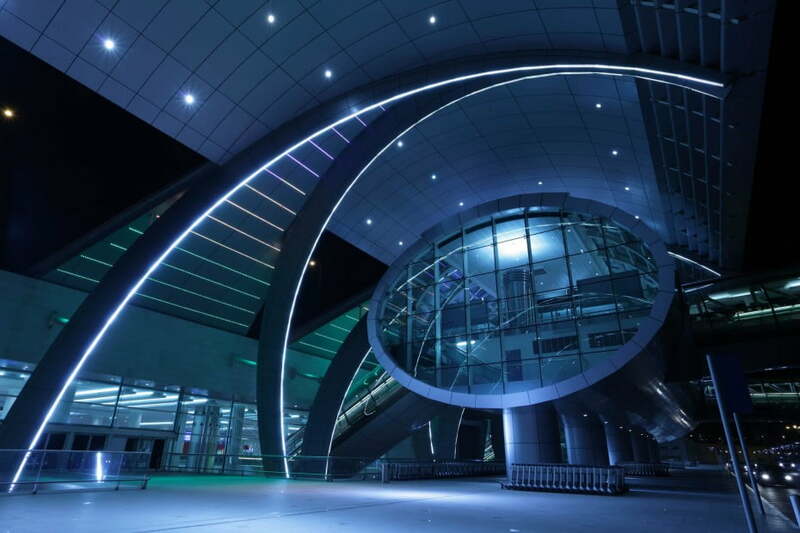 Dubai International Airport was the first airport in Middle East to join Airport Service Quality benchmarking scheme. It has received 44 major international awards since 1996. It has the world's first and largest purpose-built facility for the Airbus A380, called Concourse A. Originally opened in 1958 it has grown rapidly in recent decades with the addition of a new terminal and a new runway in the run-up to the Beijing Olympics. It is the busiest airport in Asia in terms of both passenger and total traffic movements and is home to Air China, the flag carrier of the People's Republic of China. Beijing Capital International Airport became the first airport of its kind in China when it opened. It's the only airport in the Asian-Pacific region with 3 terminals, 3 runways, and 2 towers operating simultaneously. It was featured in the film The Karate Kid – a 2010 remake of the 1980s film series, that starred Jackie Chan as a Kung Fu teacher. The newest airport on our list is also the busiest by number of passengers. Hartsfield–Jackson serves the American city of Atlanta, Georgia. It operates five runways, carries over a 100 million passengers a year and is the primary hub of Delta Airlines. 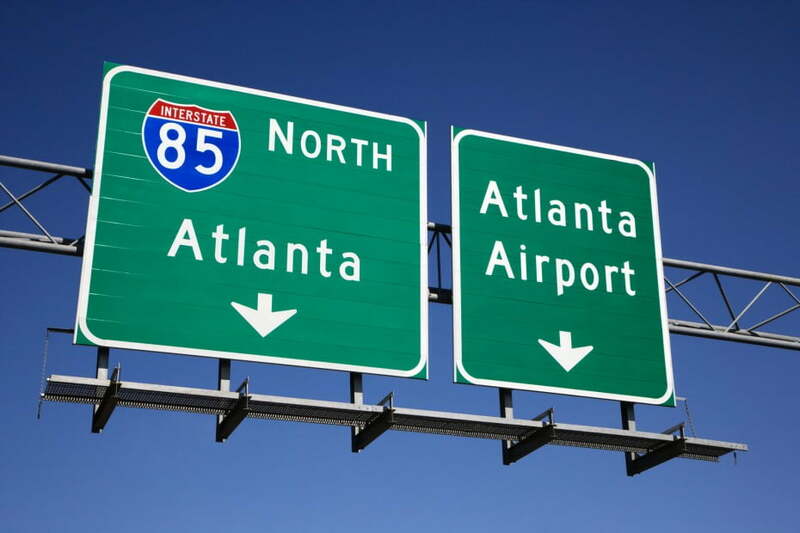 The airport's name comes from two former Atlanta Mayors – William B. Hartsfield and Maynard Jackson (whose administration oversaw the construction). Hartsfield-Jackson Atlantic International Airport has been the busiest passenger airport in the world since 1998. It had the tallest air traffic control tower in North America and the fourth tallest in the world, standing at 121 metres. Its Concourse E is the biggest international concourse in the US. The airport is within a two-hour flight of 80% of the US commercial population. It's the largest employer in the state of Georgia, and the largest structure owned by the city of Atlanta.